What did wewe think of 5x11: They Did What? Nygmobblepot: Who do wewe upendo more? What did wewe think of 5x09: The Trial of Jim Gordon? mashabiki wanachagua: It was okay. Are we getting what the sinema haven't shown us? Perhaps. My answer is definitely, yes. zaidi villains have been portrayed than the movies. Going far beyond the basic 4, the Joker, the Penquin, the Riddler, and the Catwoman. While the sinema have shown us Two-Face, Mr. Freeze, and Poision Ivy. Then in Chris Nolans' movies, Ra's Al Ghul, the Scarecrow, and Bane. I finally decided on a OTP – one true pairing, inayopendelewa fictional couple of all the fictional couples – I choose Nygmobblepot. The deep, emotional bond between Oswald Cobblepot and Edward Nygma on Fox’s Gotham gives me all the feels. 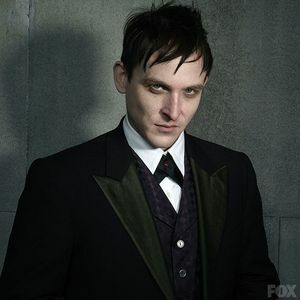 In an 11th saa decision, fox, mbweha has renewed Gotham for a fifth and final season, TVLine has learned. An episode count remains TBD. The pickup will allow producers to properly “wrap up” the Batman prequel saga. TVLine, 13 May 2018.
a comment was made to the poll: What did wewe think of 5x11: They Did What? a poll iliongezwa: What did wewe think of 5x11: They Did What? 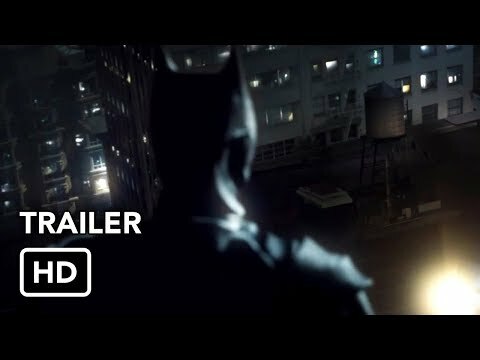 a video iliongezwa: Season 5 Official Trailer "No Man's Land"
Gotham 30 siku Challenge - Round 2!